All our choirs have a team of volunteers who jump on board to help to make their choir fun, friendly and functioning! We need hosts, social reps, administrators and keyboard players! If you’d like to get more involved, just let us know. There is always a job to be done whether that’s putting out the chairs or helping to organise a social night down the local pub! 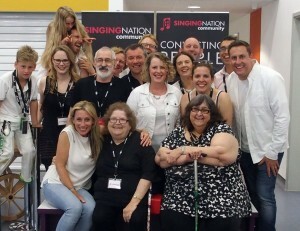 Email Jenny@singingnation.org if you’d like to volunteer in one of our choirs. Or call us on 07516 451095 to find out more.